Hello everyone. br I am a Canadian teaching in lovely Taiwan. It´s funny where our lives lead us. 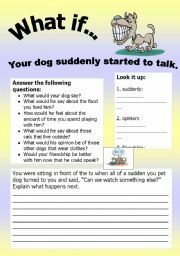 br Teaching is my passion, and because of this website, I now have inspiration and new ideas. br Thank you everyone for your contributions and for supporting my contributions. 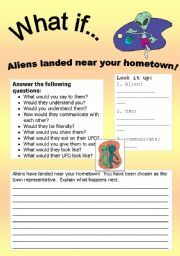 What if Series 1: What if… Aliens landed in your hometown! 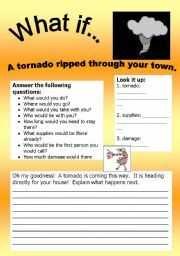 What if Series 2: What if… A tornado ripped through your town! Set 1 of 3 When all three sets are combined there are 192 different cards. 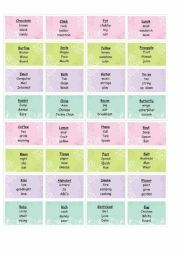 Have your students get their classmates to say the underlined word without saying any of the other words on the cards. Set 2 of 3 When all three sets are combined there are 192 different cards. 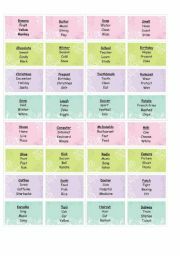 Have your students get their classmates to say the underlined word without saying any of the other words on the cards. 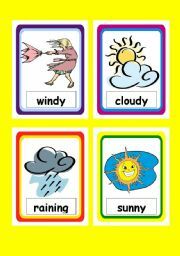 This is a set of 8 flashcards about the weather. 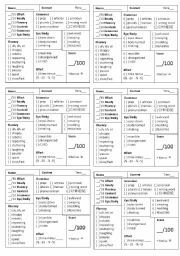 I found that my students are more likely to speak if I place posters/flashcards around my classroom to give them the vocabulary to draw from when they are speaking in class. What if Series 9: What if... 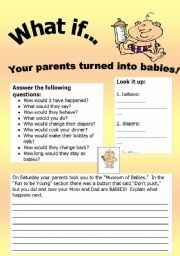 Your parents turned into babies. Set 3 of 3 When all three sets are combined there are 192 different cards. 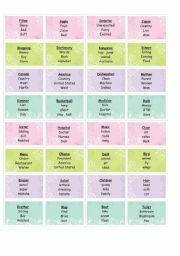 Have your students get their classmates to say the underlined word without saying any of the other words on the cards.